We feel it is beneficial for you to be able to put a face to the people at Industrial Wire Rope who support you. Periodically throughout the year, we’ll introduce you to some of our employees. Chris has been with Industrial Wire Rope for more than 10 years, and works out of our St. Charles, MO location. He’s responsible for Outside Sales, and is a certified safety inspector for chain, wire rope ad synthetic slings. Chris is also certified in train-the-trainer on Crosby products. “I started calling right away on one of the biggest construction firms in the St. Louis area. After months of phone calls, emails and meetings with this client, I finally landed my first order on July 2, 2007. Landing this first order was very exciting, however, there was one very big catch. The 4th of July holiday was in two days and my customer wanted a finished product on July 5th. “I had given them a two-week lead time on the items I originally quoted because parts we needed to assemble the items were on back order from the manufacturer — it was also going to take some time for us to assemble the product. With the 4th of July, not only did we lose a few business days due to the holiday, but we were shorthanded because other employees were taking vacations. I had to come up with a plan to get the product here on time and get the product assembled all while staying under budget. “I made numerous phone calls all over the country to find the parts and product I needed to make these assemblies. Late in the day on July 2nd I sent over a purchase order to a supplier. The product was supposed to be delivered early the following morning (July 3). We were going to spend all day assembling these items for our customer but the freight truck was late and didn’t show up until 4pm, leaving no time to assemble the items before the holiday. “My customer wanted the finished product on the 5th. I made the decision to come into work early on the 4th of July and assemble these items. While most of the country getting the BBQ grills warmed up, I was putting together an order for what would end up being one of my best accounts. What’s more, no freight companies were picking up on the 4th of July. That meant I had to wake up at 4am on the 5th to pick up the items I had assembled, and drive 2-1/2 hours to deliver them before 9am. Everything worked out though. The customer was extremely pleased with the product and service. As this dedication to the customer shows, Chris is a major asset to Industrial Wire Rope. In his spare time, he enjoys watching the St. Louis Cardinals and the St. Louis Blues. Randall’s story is one of encouragement. Frustration comes to all of us in various dimensions. Randall’s wasn’t Category 4 Hurricane size; it was a sense of dissatisfaction and unfulfillment in a prior job with another company. Change of any scope can be uncomfortable and disruptive, and so many people who are less than happy with their work often resist making the change. Not Randall. He made the move to Industrial Wire Rope. It seems like just yesterday, but he has been with us three years now. He works at our Cincinnati, OH facility and is responsible for rigging wire rope slings and chain slings. Outside of work, Randall’s family keeps him busy. He has three children. Football practice and games occupy Randall as well as his children! We appreciate all Randall does for Industrial Wire Rope and our customers. His enthusiasm and inspiration is contagious. Keep pouring it on, Randall! American Scaffolding was founded in April 1992. 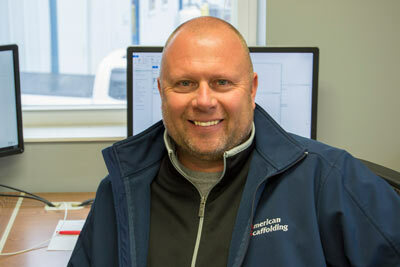 American Scaffolding salesman and estimator, Dave Seibert, is one of the company’s first employees. He shared his 25th anniversary right along with the company. Dave’s job gets him involved with projects that reach beyond Cincinnati in all directions. Some of the memorable locations he named involved Atlanta, Charlevoix, Kansas City and Dallas. And, those are just a few. He’s covered a lot of ground in 25 years! What’s great about the job for Dave is the variety. In addition, Dave enjoys out-thinking the competition. Sometimes it is about cost, but mostly it’s about being creative. With every project, he likes the challenge of looking for THE competitive edge to win the job. Asked about some of the most interesting jobs he has been involved with, Dave named many that are right here in Cincinnati. They include the shopping and entertainment center, Newport on the Levy, the former control tower at the Blue Ash Airport, which was converted to an observation tower with the airport’s transformation to “Summit Park” and the “tiara” of the Great American Insurance Company building. 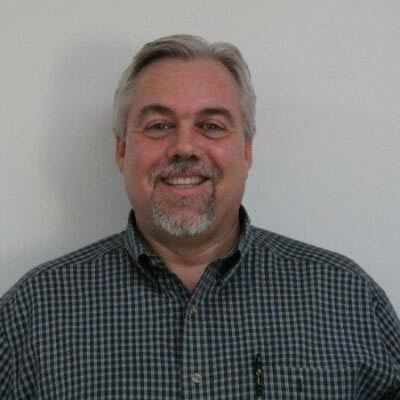 Tim Schuppan is an industry veteran who is relatively new to Industrial Wire Rope. August 2018 marks Tim’s second anniversary with us. Prior to Industrial Wire Rope, Tim owned and operated his own company in Nashville. As wonderful as that was, Tim was looking for the next great opportunity. 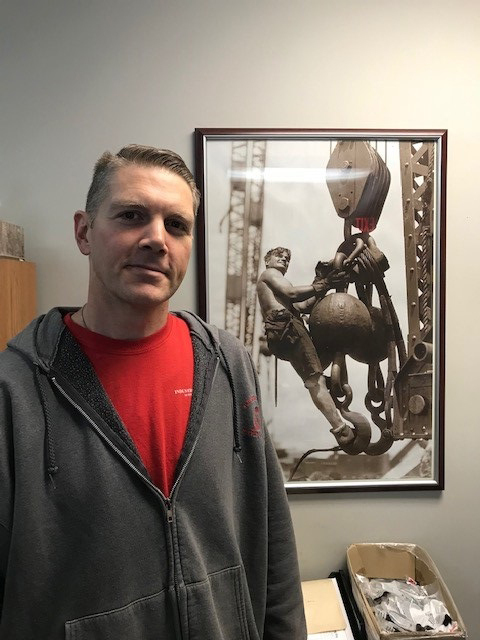 Impressed by the strong integrity and family-oriented culture at Industrial Wire Rope, Tim joined our team. For Tim, the work – and the great satisfaction he gets from it – is all about serving the customer and meeting their needs by way of the greatest quality at a fair price. “In May 2017, the large power plant repair group in our area contacted me to purchase a winch to use for their fall outage. Their requirements were 4000# WLL with 450’ wire rope capacity, electric and adjustable for 0-5 fpm. It seemed easy enough, although in my 30-year history working with power plants, they all typically used air- powered winches. For it to be electric and adjustable 0 – 5 fpm was going to be a slightly difficult order to fill. The required due date 8/25/17. As a frame of reference, humans walk at 272.8 fpm. The power company required the 0-5 fpm speed, as they would be pulling a generator field worth millions of dollars to send out for repair and wanted to be able to take it slow and easy. I called on a US winch manufacturer that I have used for about 20 years, and they sent it on to engineering. After much back and forth between engineering and myself, they came back with a quote for a winch that would handle the WLL coupled with a VFD (Variable Frequency Drive) controller with a rheostat that could adjust the speed 0-5 fpm. The quote also included pendent control with emergency stop, forward reverse controls and 50’ pendent length. The lead time associated with the quote was 8-10 weeks, not including shipping time. The power company accepted the quote and placed the order 7/1/17. I recognized the project was in danger of exceeding the 8/25 delivery date right off the bat, and immediately began expediting the order. I sweated out the little details beginning early, determined to make sure the winch was delivered to the customer on time. We succeeded; the power company received their winch on 8/25/17. And, we’re extremely happy Tim’s a part of the team. Prior to joining Industrial Wire Rope, Matt worked for Enterprise Rent-A-Car in Kansas City, with responsibility for corporate accounts. As a St. Louis native, family and the city drew him back. 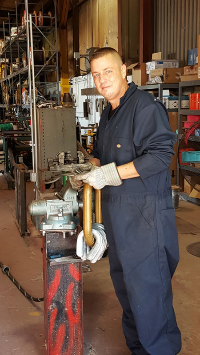 Upon his return, Matt began working with Industrial Wire Rope part time. Over time, Matt’s passion for generating innovative and affordable solutions that solve customer challenges became his new full time…well…enterprise…with Industrial Wire Rope! 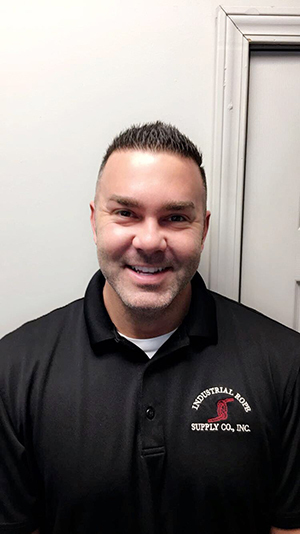 As Office Manager, Matt has responsibility for making sure all is running smoothly across all functions in the St. Charles office, which supports Industrial Wire Rope business west of the Mississippi river. Overall, however, Matt views his main responsibility as sales. When you ask almost anyone with sales responsibility about customers and projects that have stood out in particular, the response is always interesting. Often, it’s about timetables and due dates that don’t align with the calendar we all know. Other times the story is one of an unusual engineering feat. Matt’s response illuminated his passion for adding value for all customers, large and small. He was reflective as he answered, relating how ALL customers, large and small, are important. Matt’s satisfaction in his work comes out of the trust he recognizes Industrial Wire Rope customers have in him and in the company. He appreciates the faith they have in the expertise he provides, consulting on the challenges they encounter, and their confidence that they are getting solid solutions and with great product and service at a fair price. Away from work, Matt enjoys time with his wife and daughters. He’s also hopeful St. Louis will be named as an expansion city for Major League Soccer. Matt is celebrating a notable anniversary with Industrial Wire Rope soon. January 2019 will mark 15 years since he joined the company. Thanks so much, Matt, for all you do for Industrial Wire Rope and our customers. Keep the anniversaries coming, and we too hope for good news for St. Louis from Major League Soccer!